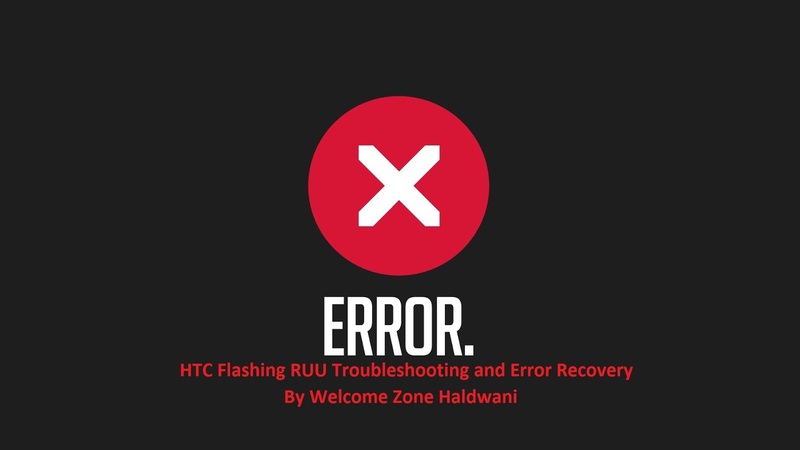 Here Is Almost all RUU related errors can be recovered. When an error occurs, the utility will display an error message and provide recovery measures to allow you to continue with the update process. Disconnect the Mobile Device from the USB cradle/cable. Reconnect the Mobile Device to the USB cradle/cable. Check that the communication cradle/cable is connected properly. Return to the ROM Update Utility to continue with the update. ** If errors cannot be recovered, please refer to Q&A section for more details. This error message will appear when the device is not connected to ActiveSync correctly. Make sure you properly connect the device to the PC through ActiveSync before running RUU. This error occurs when there is an “open port error” before upgrading the CE ROM image. 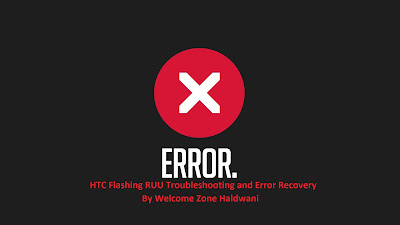 Solution:- You can reset the device and run RUU again. If you still encounter an “OPEN PORT ERROR” again, reset your computer and try again. When you see any of these error messages, close other running programs on the computer and run RUU again. These error messages indicate that RUU lacks certain important files and cannot continue with the update. Please get the complete RUU package again. These error messages will appear when remote access control has failed. Check the ActiveSync connection and try running RUU again. This error message will appear when the device’s battery power is not sufficient. Although RUU will instruct you to plug in the AC adapter, it still has to make sure that your device has enough power to upgrade the radio. (Even when you plug in the AC adapter, the device is unable to charge the battery when it is upgrading the radio). This error message may appear when, for some unknown reason, the ROM image on the Mobile Device is corrupt. Download the whole RUU and try again. When this error message appears, check whether the downloaded image is placed in the directory of RUU. If, for some unknown reason, you find that the ROM image is not located in the RUU folder, you have to download the RUU and retry again. One of these error messages will appear when you use the wrong RUU to do the upgrade. RUU will check if the Model ID and Language ID are compatible with the device. Make sure you use the appropriate RUU tool to upgrade. This error message indicates that RUU cannot start the update process. Please contact your service provider for assistance. This error occurs during the CE ROM code upgrade process. Solution: If this happens, you can just soft-reset the device and run RUU again. The update process will then continue. Note: At this stage, the Wince is destroyed; instead, it is in upgrade mode. This error message will appear when you use the incorrect RUU version to upgrade. This error message will appear when you use the incorrect RUU to upgrade and the image file size is larger than the Flash ROM size. In this case, download the correct RUU version to upgrade. Ans: Inform the service center about the error message (error no.) shown on the setup screen on the computer. 2. Ques: How long will it take for the verification process to finish? Ans: It will take about 1 minute, but it also depends on the speed of your computer. 3. Ques: What should I do if I see the progress bar turn red on the Mobile Device? Ans: Do not do anything. This is normal as the RUU is adjusting itself to complete the process. You should not interrupt it by pulling the device out of the cradle unless being prompted. 4. Ques: During the upgrade, the progress bar is moving. If the error message (ERROR  : UPDATE ERROR) appears, what should I do? Ans: This may occur when the connection is lost, without power supply, computer host is down, or due to other unexpected cases. You will see that there’s still one progress bar displayed on the device but it is not moving any more. The device cannot get into the Wince screen, so you cannot connect with ActiveSync. This problem usually can be recovered. You just need to follow the instructions in the error message box, reset the device, and run RUU again. RUU will re-flash the whole image again. Note: You should remove the battery and reset the Mobile Device. 5. Ques: If I encounter ERROR  : CONNECTION, what should I do? Ans: You can reset the device and run RUU again. If you still encounter the same ERROR again, reset the computer PC and try again. 6. Ques: If I encounter ERROR  : INVALID UPDATE TOOL, what should I do? Ans: This error message will appear when you use the incorrect RUU to upgrade. Please make sure you use the correct RUU version to upgrade. 7. Ques: If I encounter ERROR  : MAIN BATTERY POWER, what should I do? Ans: , This error message appears when your device’s battery power is not sufficient. Although RUU will instruct you to plug in the AC adapter, it still has to make sure your device has enough power to upgrade the radio. 8. Ques: I use RUU to update and failed, and my device always boots in three-color mode and cannot enter CE OS anymore, what should I do now? Ans: If the update process has failed, you will see that your device will always boot in three-color mode. It’s normal and can be recovered. Please follow the instructions below to reset your device and to establish a connection with the computer. 1. Disconnect your Mobile Device from the USB cradle/cable. 2. Reset your Mobile Device. 3. Reconnect your Mobile Device to the USB cradle/cable. 4. Check that the communication cradle/cable is connected properly. 5. Return to the ROM Update Utility. Note: You should ignore the ActiveSync connection.